To begin at the beginning: a resurrectionist is a body snatcher, a person who digs up newly buried bodies in a graveyard and delivers them to a medical school for students to work on and learn from in anatomy class. In the nineteenth century in America, as elsewhere, cadavers were scarce. Med students might have to study anatomy and practice surgical technique on dead pigs or goats. There are anatomical similarities, to be sure, but what woman would want her hysterectomy to be her surgeon’s first on a human! Guinn’s novel opens in the present, with a revelation shocking to the administration of the Medical College of South Carolina in Columbia. In the basement are discovered human remains, lots of them. Foul play is not suspected. The bones are 140 years old, but there is a mystery, and a potentially huge scandal. The bones are surely African-American. The outlines are clear. After being used by med students the remains were taken to the basement, covered in lime and forgotten. No ceremony. No dignity. The school public relations officer, Jacob Thacker, is instructed by the president to keep all this hidden: “I need for it to go away.” Dr. McMichaels is the ur-administrator: a ruthless smoothie, whether playing golf and drinking martinis with donors or speaking to students, faculty or press. But of course the news gets out; the black community is outraged, and Thacker gets curious and investigates. What really happened here? “The Resurrectionist” morphs into a mystery novel and in fact was nominated for an Edgar. We learn, early on, that the Medical College in the 1850s decided to purchase an “African sack-’em -up man,” a slave called Nemo (no man), strong and resourceful, to procure cadavers secretly from the black cemetery, by night, preferably only hours after burial. Nemo is based on an actual slave, Grandison Harrison, who worked for the Medical College of Georgia, in Augusta, where bones were discovered in 1989. In an interview Guinn noted that Georgia did not allow dissection of humans for medical purposes until 1902. Guinn’s novel moves back and forth between Nemo’s story and the present day tale of institutional hypocrisy and cover-up. President McMichaels, instructing Thacker in what he wants done, is adamant; no dissent is permitted. When tenured professor of anatomy Dr. Adam Claybaugh, holder of an endowed chair and a kind of Kathy Reich, wants the bones studied, McMichaels would gladly put his head on the block. To Thacker’s surprise McMichaels states without hesitation, “Claybaugh is a Ph.D. anyway….He’s not one of the brotherhood.” Thacker understands he could be expendable, too. Luckily, Jake has an understanding and beautiful girlfriend, Kaye Myer, an attorney, who stands by him. Most fascinating is Nemo himself. In a position to cause chaos if he blabs, the slave Nemo lives well. He is resplendent in “fine felt bowler,” “[w]ool suit with subtle stripe, silk pocket square of the finest ivory hue,” and a gold-headed cane “he had retrieved from Colonel Lamar’s coffin last week.” Some in the black community seem to know what Nemo is up to. Both admired and shunned, he is a man without a country. The public relations struggle in the 1990s comes to its dramatic climax, and along the way, Jake learns what went on in the 1860s and what became of Nemo Johnston. There are more astonishing shenanigans with the cadavers, but that would be telling. 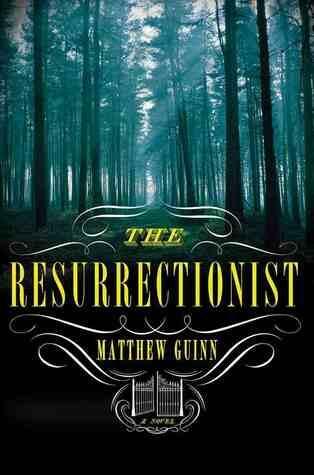 “The Resurrectionist” is a fine debut novel, by an author steeped in Southern literature and history. Guinn has degrees in English from the universities of Georgia, Mississippi and South Carolina where he was personal assistant to the poet James Dickey, and is the author of “After Southern Modernism: Fiction of the Contemporary South,” a study of the generation after Faulkner, Welty and the Agrarians, the generation of gritty writers that includes such writers as Harry Crews, Barry Hannah, Larry Brown and Cormac McCarthy. Guinn’s next novel, “Malthus,” will be out soon.